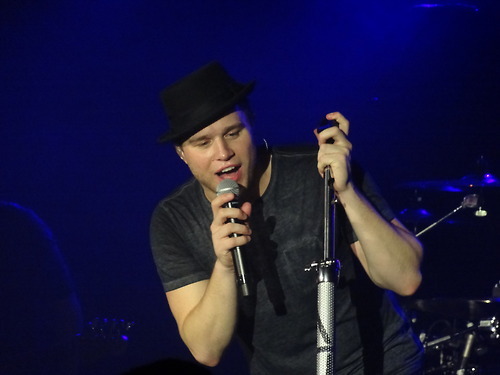 English singer-songwriter Olly Murs recently hit our shores on his first Australian tour much to my excitement. After missing out on tickets to his first Sydney show at The Star Event Centre, I was able to get some for his much smaller performance at the Metro. And I am so glad I did. The show, and boy, was it a whole show, was fantastic. Olly was energetic the whole night; he so entertaining with his cheeky dance moves and hilarious interactions with the audience. The Metro, which is fast becoming my favourite venue, was great for this as it made it all the more intimate, making his cute flirtatious comments all the more charming. Olly continually mentioned the attractiveness of Australian girls, calling other girls “average” in comparison and this adorable flirting was only encouraged by the screaming fans. In fact, the fans were quite a diverse mix of people. Women of all ages were swooning because of the popstar, couples danced together and even a few kids were cheering on the fringes. 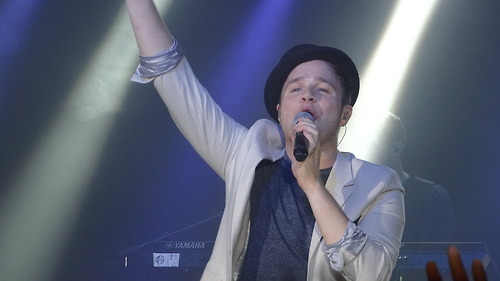 Then Olly came on stage amid the loudest screams I’ve ever heard for such a small audience. He started with Army of Two from his latest album Right Place Right Time, which was a great opening song and really set the exciting atmosphere for the rest of the night. He then asked “who wants to dance with me tonight?” which was met with even more screams (especially mine) because he then launched into my absolute favourite song, his 3rd number one on the UK Singles Charts, Dance With Me Tonight. Seriously, go listen to this song. It’s so catchy and upbeat, I just have to dance every time. He ended with Heart Skips A Beat before returning to sing the song most people were waiting for: Troublemaker, which made it to number 4 in Australia. I think the greatest part, aside for the amazing music with his great vocals, was the amount of interaction Olly had with the audience. That’s what makes or breaks a concert for me. 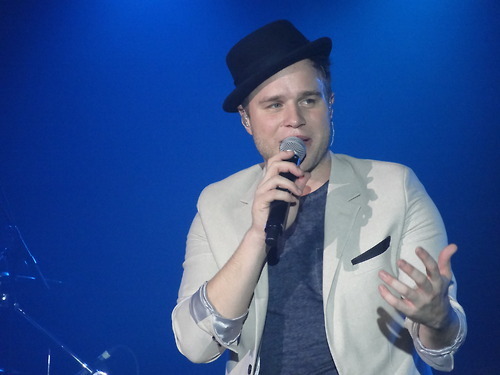 Olly told us about what were the inspirations for his songs, about his last trip to Australia and flirted cheekily with people in the audience. He was also great at encouraging audience participation. Olly made the whole audience copy some simpler dance moves and sing back to him a lot, which we all did with enthusiasm because it was just so damn fun. 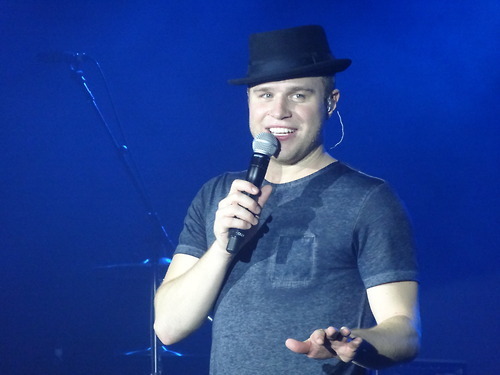 I’ve always enjoyed his catchy songs and now after going to his concert, I am even more in love with Olly. It was a fantastic show and I can’t wait for him to come back for another. If you like fun go check out his music here, on Spotify or on iTunes.